Lemon Tree, very pretty and the lemon flower is sweet. Miracles happen every day on my back deck. 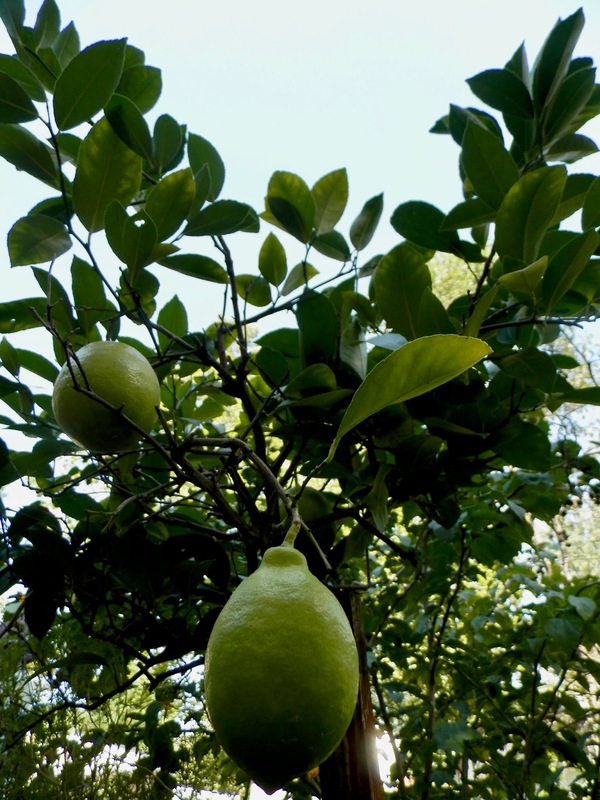 For the past two weeks, I have been watching in awe as the green "grenades" on my lemon tree have turned to yellow. I have five of them this year, a bumper crop. Way more than I would expect from the rather small potted tree that I drag inside every winter. I'm assuming it's a normal thing, but it loses its leaves every year and grows them back immediately. It blooms into fragrant flowers. And some of those flowers turn into lemons. The tree itself is pretty much exactly the same size as it was when I bought it 8 years ago. It doesn't seem to grow. It just regenerates over and over again. And, holy crap, I have lemons growing on my back deck! REAL LEMONS!!! I know what you're thinking: "Yes, Tierney. That's what lemon trees do. It's how all lemons are made." I don't care. When you make something like that happen yourself, it seems like a freaking miracle. I buy my food. I don't raise it. But next week I will have the need for a lemon and I'll go and pluck one from my tree and it will be incredibly miraculous and gratifying. It's not something that happens easily and automatically like a chive. It's a freaking lemon! 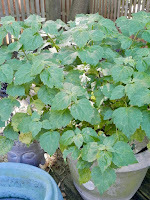 Patchouli, which I grow for fun and to combine with the white sage I grow in smudge sticks, smells just like patchouli. I don't know what else I expect, but the plant smells exactly like the perfume. It freaks me out every time. Stevia is sweet as can be in plant form. Biting into a stevia leaf is like eating candy. There is a huge burst of sweet in your mouth. A green plant! Sweeter than sugar! 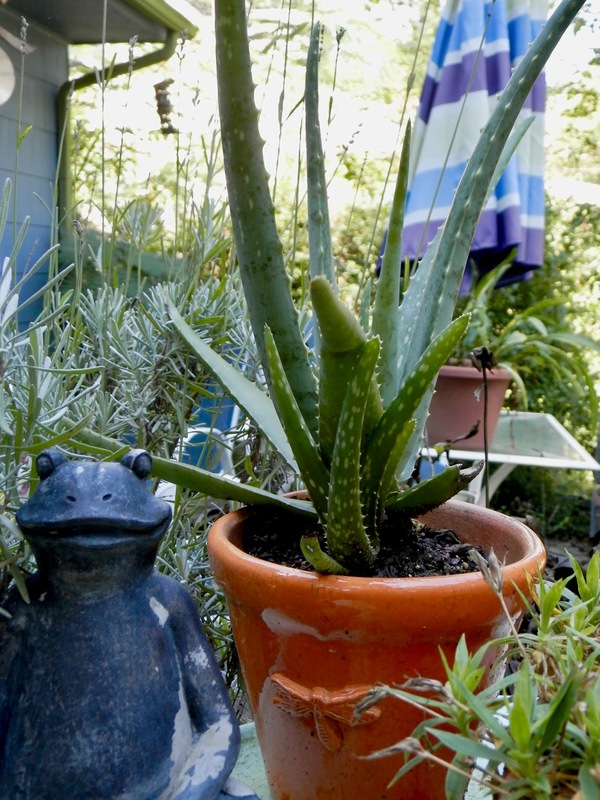 Aloe, which used to be in a tiny seedling container, grows insanely fast and out of proportion to its container when you repot it in something larger. Most plants would die in a small container for so long because of their roots. And they would need very frequent watering. 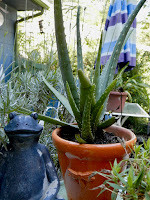 But aloe is "set it and forget it" and it thrives. Each time I look at it, it's larger than the time before. It's not like I'm completely naive. 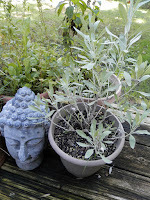 I've had my container garden for a long time. It consists of maybe 50 containers and more than a dozen Buddha heads to pray over them. 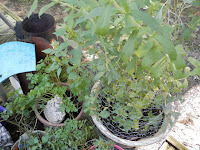 Rosemary, thyme, chives, tomatoes, basil and parsley are the items I use most. I grow perennials and annuals. Some of the containers hold flowers. So I'm not new to the phenomenon, but it amazes me every time—nature provides, growth happens, and with only minimal tending, miracles happen. That last point is key. Too much attention and tending, then it's not a miracle. It's more like you made it happen regardless of nature's intent. Too little tending, and it goes wild. But when you remove the weeds that crop up, water the plants, prune effectively and respect the natural process, miracles can happen. The same that's true for lavender and strawberries is also true for you. Look at your life. How many amazing, miraculous things have happened without you even trying? Some may have come in the form of victories and some in the form of lessons. But look at you now. If you're reading this, everything you are is a result of both divine intervention and the pruning and watering you've done thus far to get here. In my experience, the universe doesn't always bring us what we want—my lemon tree wants sun and water every, single day—but it brings us the resources we need. We do this together with nature. And that's pretty cool. If you just confined yourself to my back deck, you could understand our role in nature and in our own lives. We are here to live cooperatively in nature. We can plant and eat what we grow. We can tend and respect. But forcing and controlling are not natural. They are not part of the universe's ways. Better yet, if you just stand out of the way and let the universe do its thing, exerting minimal control over the processes, life will give you lemons. And lemons, my friend, are miracles.